In each of our retreats, we invite our students to enter into a new way of seeing themselves to the ultimate end of living life more fully, far beyond the time we’re sharing together on our vacation adventure. Yoga, breathwork and meditation are potently transformative practices and have the potential to bring up emotions and awareness generally cloaked by the daily grind. 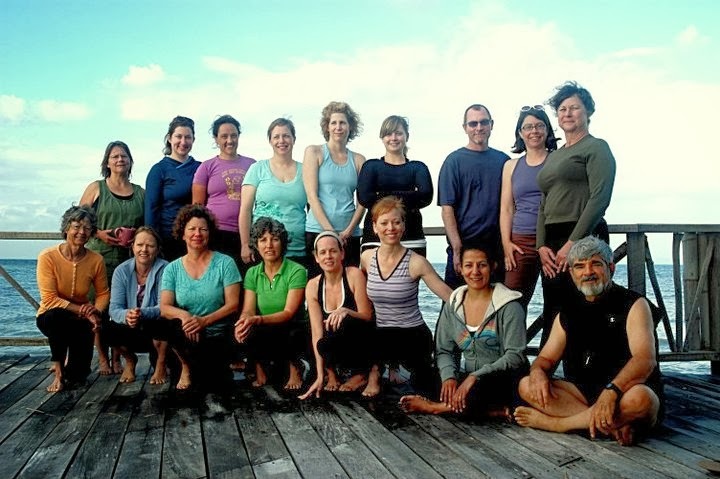 Our retreats are designed as intensives and are enhanced by the richness of exotic locations, expeditions, personal connections and delectable cuisine. We offer mixed-level practices, adapting appropriately for the ability and experience level of each retreat group and for each individual. We ask that you work with modifications most suited to your needs at the moment. 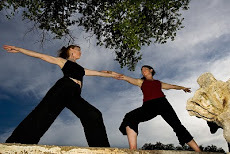 Excursions and bodywork (when offered) vary in levels of intensity and we ask that you communicate your needs and choose accordingly for what is appropriate for your physical ability and desire. We advocate each of our students taking personal responsibility, for we understand the value of alleviating your own suffering while priming yourself for a wealth of joyful experience. During the retreat, if you need to take a day off, we encourage you to do so. If you need to sleep in or practice savasana for an entire class, we will support you in those choices, asking only that you keep us informed. If you have dietary restrictions, we will do our best to communicate this to the facility on your behalf. However, we also recommend you plan ahead to accommodate your own dietary needs, such as bringing snacks or arranging to purchase them nearby in case the kitchen is unable to comply for whatever reason. The responsible consumption of caffeine and alcohol are acceptable on most of our retreats. We endeavor to provide a taste of the local culture through the facilities and activities we select. Depending on where in the world we are, keep in mind that you will likely encounter flora and fauna, exotic foods and observances distinctive from what you experience at home. We encourage you to embrace it all with a sense of yogic flexibility and adventure; it is a new horizon and a unique opportunity to explore an exceptional external and internal landscape. The yoga we lead incorporates breathing and meditation practices both within posture practice and separately. We lead plenty of preparatory poses with specific cuing to help you feel deeply within your being, enhancing your direct body-mind awareness. You will find few "pretzel" poses in our classes or complicated balancing poses. Any vinyasa we teach will be offered in accordance with a slowed mindful breath to invite and enrich your inner discovery. We strive to offer practices everyone can do in their own way, even with their eyes closed. We share the teaching in most classes. Generally, you will find a breath-based practice meant to help you open body and mind slowly, methodically and deliciously, with plenty of personal attention and encouragement. If you would like to know more, check out the Breathe New Life Into Your Life cd/download for a personal retreat experience with Santosha (just click the icon on the right sidebar), come to class (find Marisa's schedule here) or explore Marisa's practice blog at www.allyogaallthetime.com. 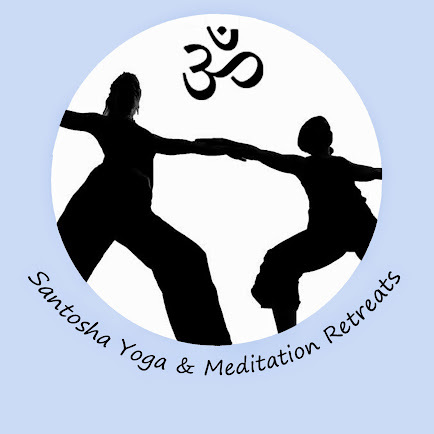 Due to the powerful physical and emotional qualities yoga and meditation present, we ask that you put a support system in place (especially if you haven't yet encountered the penetrating effects of the practice) in the even that challenging emotions arise during the retreat. This may include family, friends and mental health practitioners that you can arrange to have access to should you have the need. 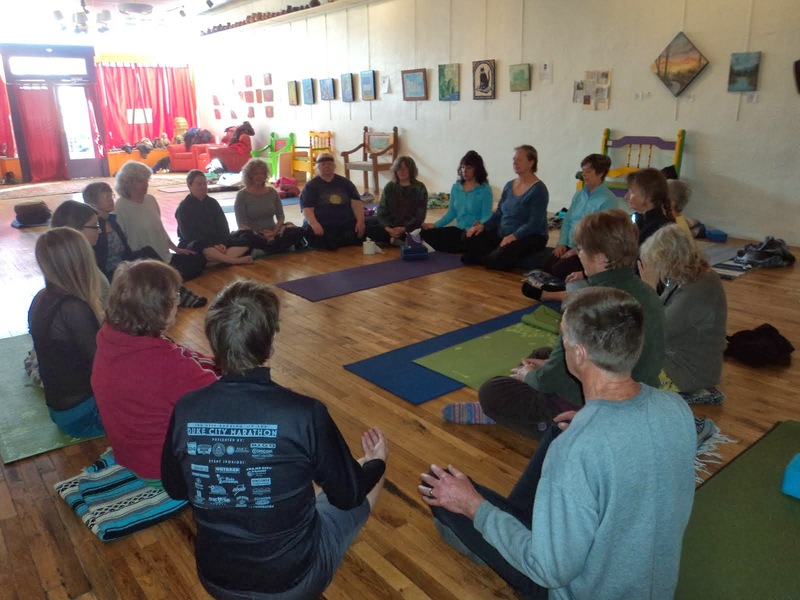 This may also include taking time out during the retreat to contemplate or resource familiar practices such as journaling or an exercise routine. We will practice yoga, breathwork and meditation at least twice daily with few exceptions and there will be times we may invite additional practice during excursions. To support yourself further, consider bringing a journal, a sketchpad or other tools as a way to channel all that you learn about yourself. You are embarking on an intimate odyssey with yourself and it is important that you pack your toolkit completely so that you may benefit optimally from your retreat experience. Ultimately, each retreat is what you make of it. We strive to provide an atmosphere that helps you to relax and connect with yourself and the beauty of the world. We endeavor to help you take these effects into your daily life, often specifically recommending practices and tools to use after the retreat. Not every day can always be vacation, but wouldn't it be grand if more of them were?